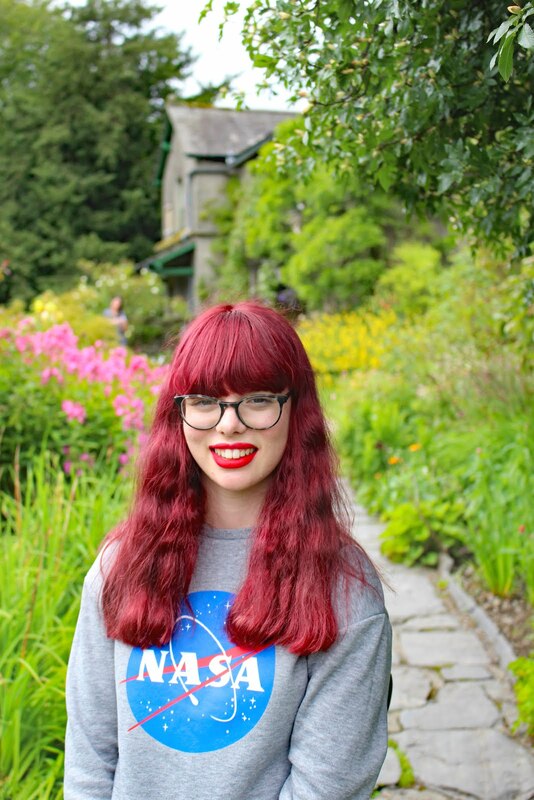 As I am not going ' back to school' in September, I have tried to stay away from doing as many ' back to school' posts as I can and tried to do something a little different for you guys! This post is a collaboration with the lovely Katie from katielou99. Katie is going to be discussing what is in her college bag, so I definitely recommend you go and check her blog out because she produces really high quality content about all things beauty, fashion and lifestyle related and I know you will love her blog! 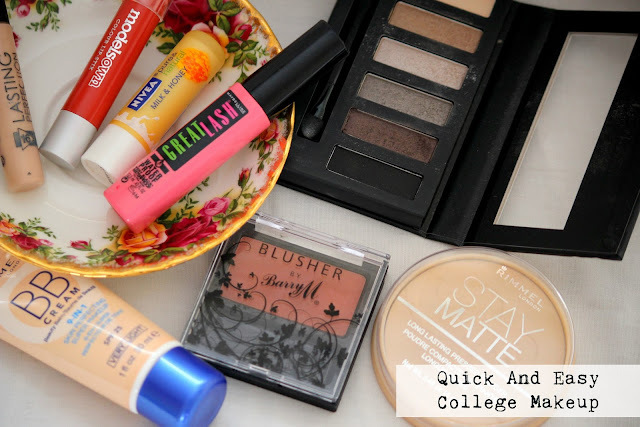 On my blog we are going to be discussing college appropriate makeup that is quick and easy, though you can wear whatever you want to college you don't want to miss your bus in the morning because your makeup slowed you down, do you? First of all I recommend using a concealer like the Collection lasting perfection, just to cover all your dark circles that suggest you have been awake all night on Netflix. For the base I think a BB cream will be perfect for those days in September when its still a bit to warm to be wearing a foundation but you need a bit of coverage. BB cream is a lot less hassle then foundation, which is always a good thing on a busy morning when you have to be out the door by 8. I wouldn't really bother with contour, bronzer or highlighter just because to be honest you want to be comfortable throughout and not faff about with all the extras. I would definitely recommend using a powder just to set all your makeup in place, so it doesn't slide down your face during the day. To add a bit of colour to your cheeks, so you don't look like a Zombie, I suggest using a Natural blush, like this one from Barry M in the shade Terracotta. For eyes, I recommend using a natural eye shadow palette. This one from Collection is really good because it comes with a white shade, you can put in the corner of your eye to make you look more awake and brown/beige natural shades to go across your lid. These eye shadows also last all day which is amazing considering the price. For Mascara, I chose the Great Lash. This is also the waterproof version because you never know what drama may happen at college! Then finally for lips I would normally just go for a lip balm like the Nivea one in milk and honey because it smells amazing. Or if you want a little bit of colour and also something that is a lot more stress free than a lipstick in the morning, the Models own lip stixs are great, this one is in the shade coral kiss! I hope you guys find this useful! Let me know what are your staple, no fuss makeup items in the comments below! Follow for follow on my bloglovin? Great post! Thank you so much for doing a collab with me, I just posted mine. I think this look would be great for college, love the eyeshadow palette! That Collection palette looks so ideal for a simple everyday look! Great post! I love the look of the Collection eye shadow palette, I will definitely have to pick it up, the next time I go shopping. I can't go a day without lip balm, and the Nivea ones are my fave. I love Rimmel Stay Matte Powder, i still haven't tried the Collection eyeshadow palette, the colours look lovely! :) My staple makeup item for everyday is my Seventeen Brow pencil.